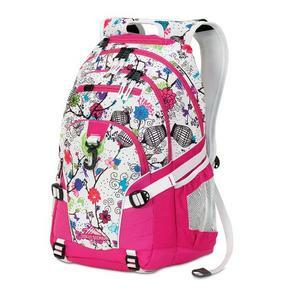 Finding the best backpacks for college can be a challenging task. On one hand, you want one that holds everything you need to lug back and forth between classes, the dorms, and the library. On the other hand, you also want one that doesn’t overwhelm you with its bulkiness. 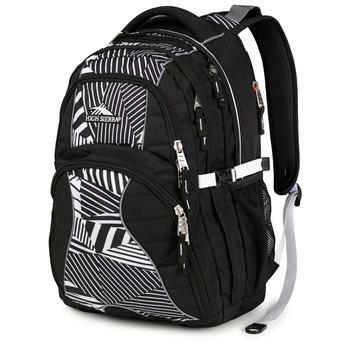 Skimming through backpack reviews online can be helpful in making this decision for the best college backpack for you, however, it is also important for you to take into careful consideration your own backpack size needs. Specifically, size of your laptop (or tablet) is an important factor to consider when purchasing a backpack for school. 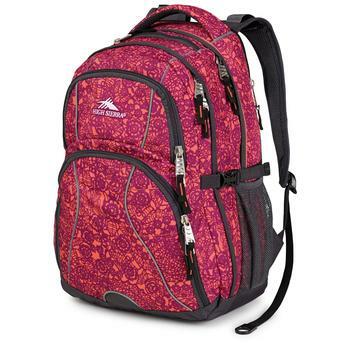 For many consumers, the High Sierra Swerve Backpack is a high contender for the ideal college backpack. 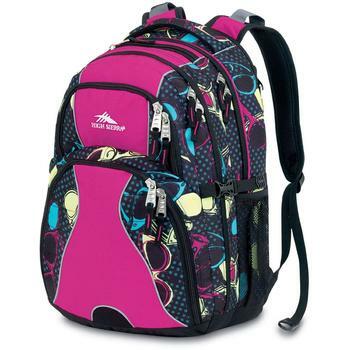 The High Sierra Swerve Backpack features a multiple pocket design, complete with mesh side water bottle open pockets. A combination of waffle weave, Duralite Ripstop, and 600D Duralite fabrics used in the construction of this backpack work together to provide protection against water in order to keep your books (and everything else) dry. A padded back-access built-in computer sleeve provides a safe place to store your laptop between classes, and a built-in MP3 player pocket with a headphone port lets users listen to their favorite jams on the go. Additionally, a “premium organizer” compartment includes multiple mesh pockets, pen slots, and a convenient key fob. 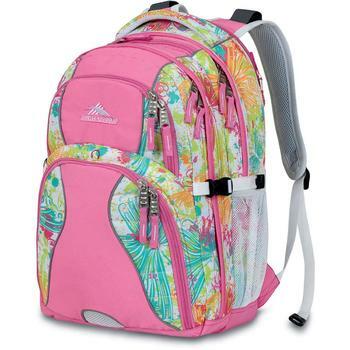 This backpack is offered in numerous color combinations, allowing most consumers to find a color scheme that fits their personal preferences. The water-resistant fabric construction should definitely provide peace of mind if you’re stuck walking back from class in a sudden downpour, and the multiple pockets should provide a convenient way to stay organized. The High Sierra Swerve Backpack model’s laptop sleeve should fit most laptops with up to a 15 inch screen size. While this should be good enough to offer basic protection for your laptop, it is not as comparable as the protection offered by some of the best laptop backpacks. The shoulder straps on this backpack are claimed to be built with comfort in mind; they are constructed in an s-shaped design with padding and mesh to provide this promised comfort. The back of this pack also is also padded, as is the bottom. Finally, the majority of High Sierra backpack reviews that talk about this model are very positive, and it’s generally a good sign for a product when most users of it report good experiences. Common complaints against this product include issues with the zippers getting stuck or the zippers becoming separated/falling apart after only moderate use. Most of these complaints are against the zipper for the main compartment, which could be very frustrating and would potentially render much of the backpack useless to many consumers. Other complaints state that it does not feature a waist strap, a feature that would definitely be appreciated on long hikes. 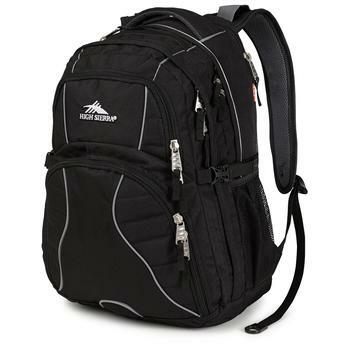 Additionally, although certainly not as expensive as some high end backpack models, this High Sierra product is still pricier than other non name brand backpack options. Finally, the High Sierra Swerve Backpack weighs almost four pounds, even when empty; this weight may be heavier than ideal for some students. Is High Sierra Swerve the Best Backpack for School? 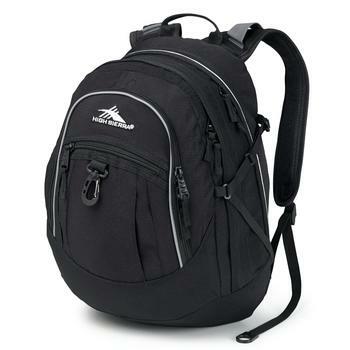 Overall, the High Sierra Swerve Backpack appears to be a quality option for anyone looking for the best backpacks for college, based on the backpack reviews and list of features. However, as mentioned previously, whether or not this option is the ideal one for you will really depend on your own carrying needs. Even though multiple consumers complained about the quality of the zippers, many others made no such statements. Therefore, it seems like researching any warranty options for this model may be a good idea prior to deciding on whether or not to purchase it. High Sierra Loop Backpacks are So Popular. But Why? Looking for High Sierra Backpacks? 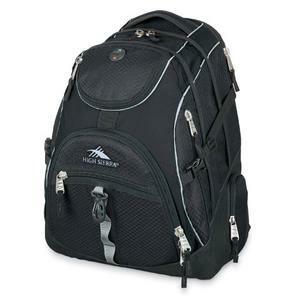 Here is Their Best-Seller List Is High Sierra Fatboy Backpack Meant only for the Fats? Is High Sierra Fatboy Backpack Meant only for the Fats? What’s in Targus Drifter II that Makes it such a Popular Backpack? High Sierra Loop Backpacks are So Popular. But Why? Samsonite Xenon 2 Promises TSA Checkpoint-Friendly Experience. Does it Deliver? How Good is Osprey Daylite as a Daypack? Have a Question about Backpack? Ever Wondered where the Coolest Girls in Town Found their Backpack Ideas From? How Good is Maxpedition Typhoon Backpack for Your Mission? Should You Get a High Sierra Cirque 30 for Your Next Trip? Is High Sierra Sentinel 65 the Perfect Backpack for Hikers?